Belgrade has a wide range of conference facilities, which have hosted international as well as national conferences and arrangements through the years. The Sava Centre is an international convention, cultural and business center situated in the immediate vicinity of the confluence of the Sava into the Danube, only five minutes away from the city center and fifteen minutes from the Nikola Tesla Airport. The Belgrade Arena was opened in 2004 as the largest state-of-the-art complex for all types of large-scale sports, entertainment and cultural events, trade fairs and congresses. 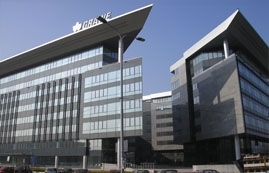 It is located in the central business area of New Belgrade. With a total surface area of 48,000 m2 and a total seating capacity of 23,000, the Arena ranks among the top multipurpose centres in Europe. Belgrade Fair has 14 pavilions covering 100,000 m2 of exhibition and commercial space, an outdoor exhibition space of 35,363 m2 with associated catering and other facilities. The International Expocentre is part of the Expomedia Group’s Expo XXI International Expocentres chain. It is located in the central part of Novi Beograd, just 15 minutes from Nikola Tesla Airport and very close to the hotels Hyatt Regency, Continental and In Hotel.